This August Russian nuclear power plants exceeded their power generation targets. Last month Balakovo NPP produced 2,930.78 million kWh of electricity, or 102% of the August target (2,873 million kWh), with the power surplus reaching 57.78 million kWh. Kola NPP generated 556.5 million kWh of energy in August 2017. For the last 8 months, the plant produced 6,544.1 million kWh, or 102.4% of the targets set by the Federal Antimonopoly Service. This means Kola generated additional 152 million kWh of electricity with the capacity of 840 MW. 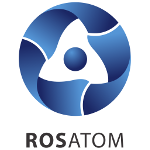 Finally, Rostov NPP produced 2,204.6 million kWh in August and thus overachieved the month’s target (2,162 million kWh) by 102%.